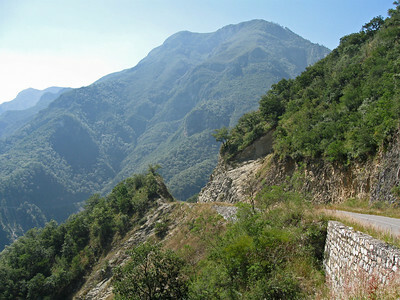 Isn't that a great road? 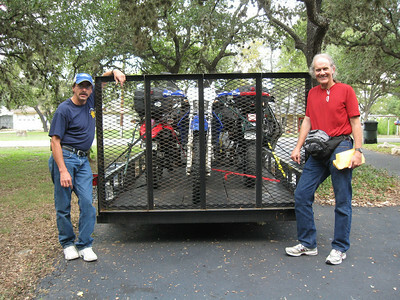 Ready to ride. 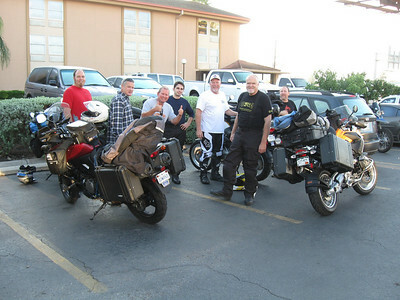 A group of us met up in McAllen so we could ride to Galeana together. 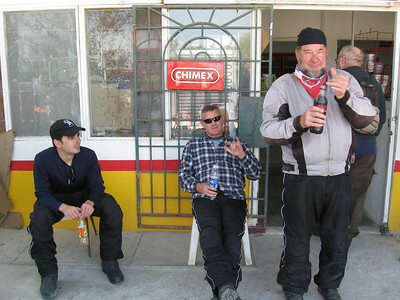 On the way to Galeana we took a break at a store named "El Rebaje". 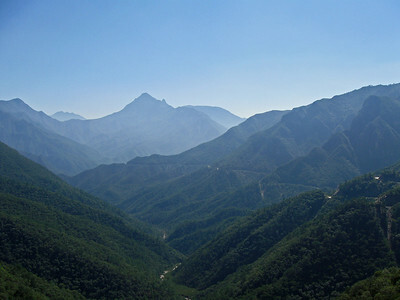 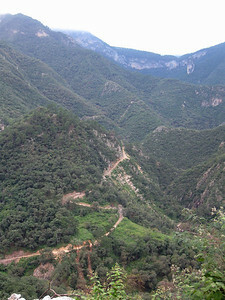 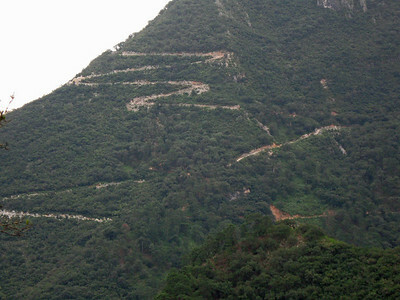 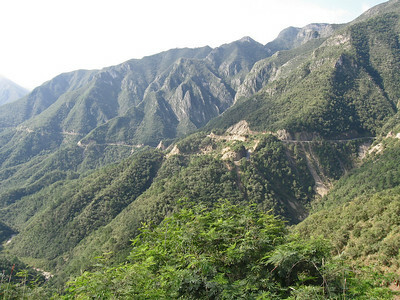 The road from Montemorelos to Rayones is a superb, twisty paved road. 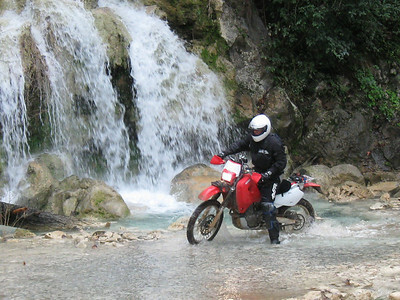 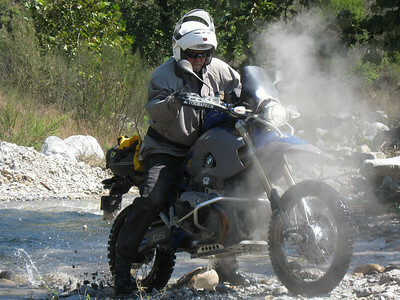 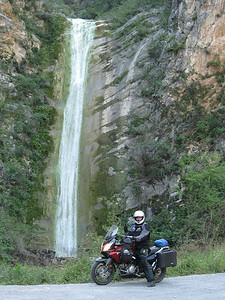 Rick M and his transalp at a waterfall on the road to Rayones. 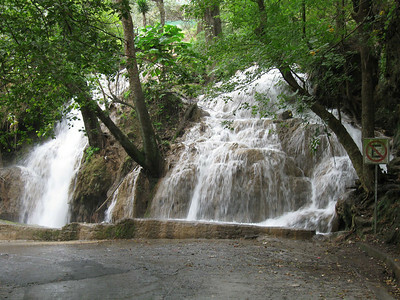 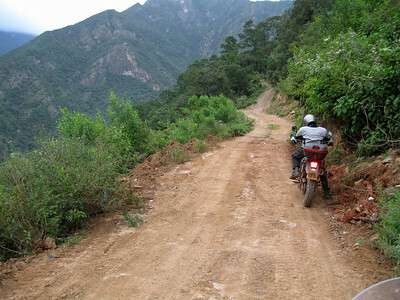 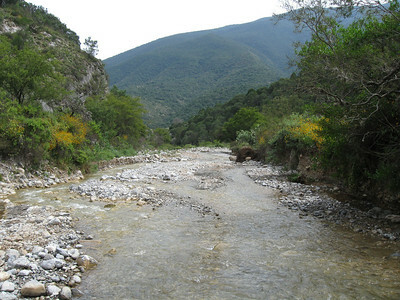 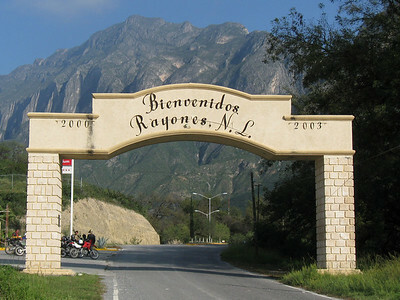 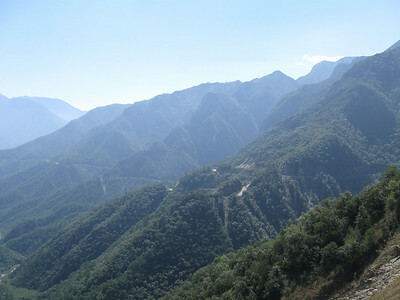 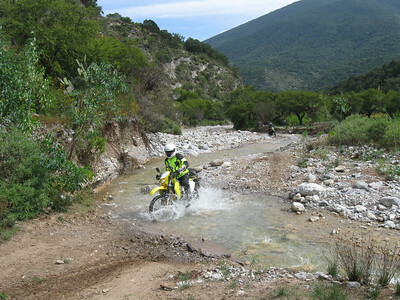 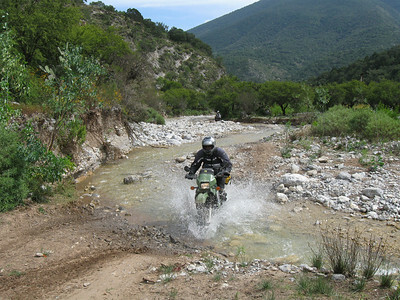 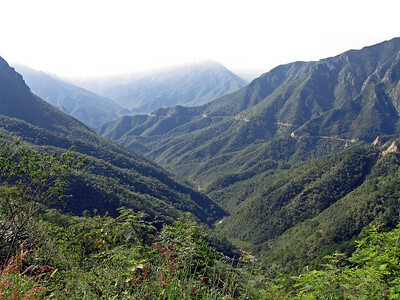 The non-paved road from Rayones to Galeana is a fun, scenic class 2 road. 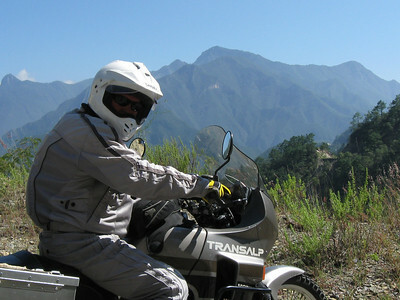 Ronnie on the Potrero Redondo route. 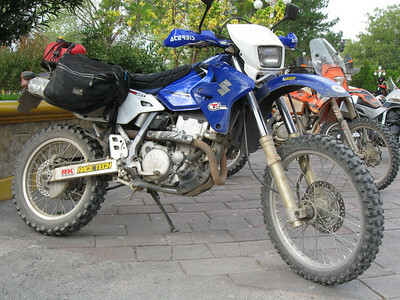 This is my favorite dual sport road ever. 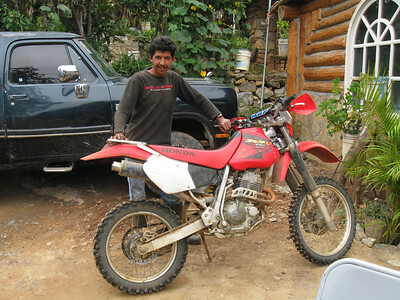 Ricardo and his XR400. 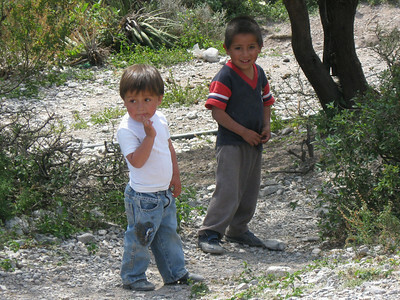 Ricardo lives in the small village of Potrero Redondo. 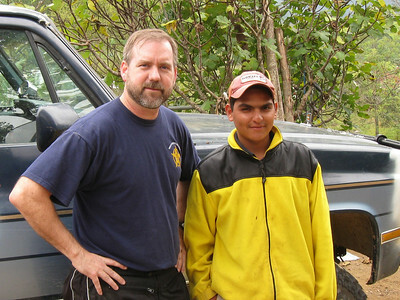 Hector and me. 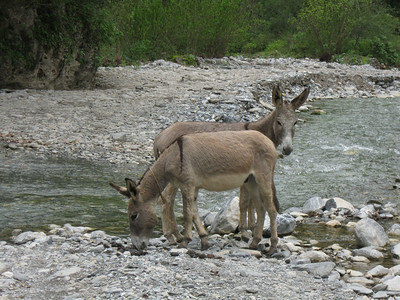 Hector and Ricardo are cousins. 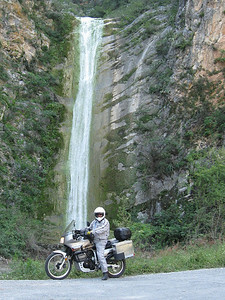 Ronnie at waterfall on the Potrero Redondo route. 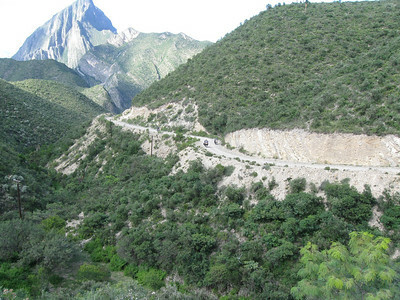 The section of road from Potrero Redondo to Allende is just excellent. 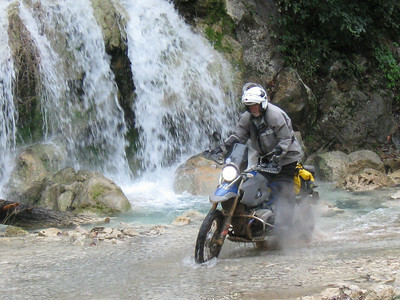 With a cliff on one side and a drop off on the other, you've got to pay attention all the time. 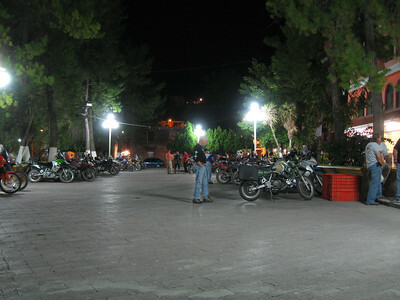 Galeana plaza. 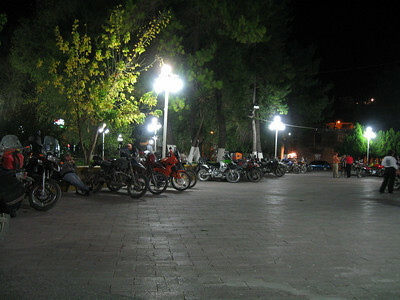 We were allowed to park our bikes on the plaza overnight. 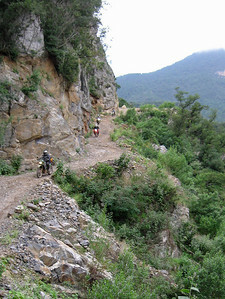 About 50 riders attended MexTrek 2008. 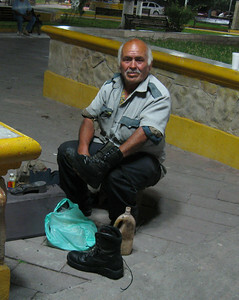 Fernando provides shoeshine service on Galeana plaza. 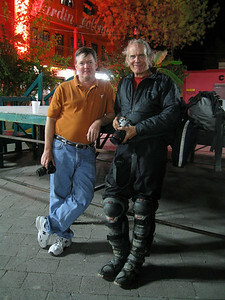 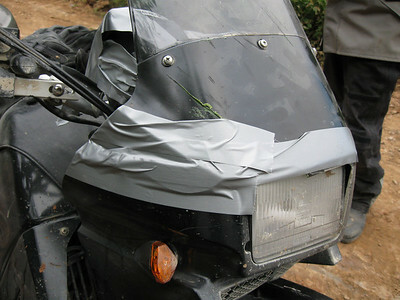 The cost for shining a pair of riding boots was 90 pesos (about $1 US). 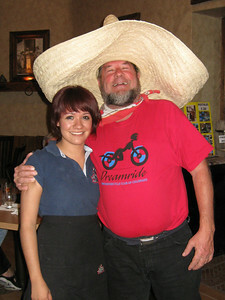 Mike and the waitress. 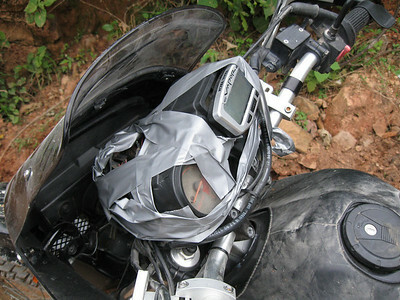 He had to wear the party hat. 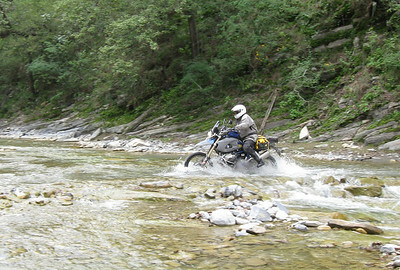 The creek is the road. 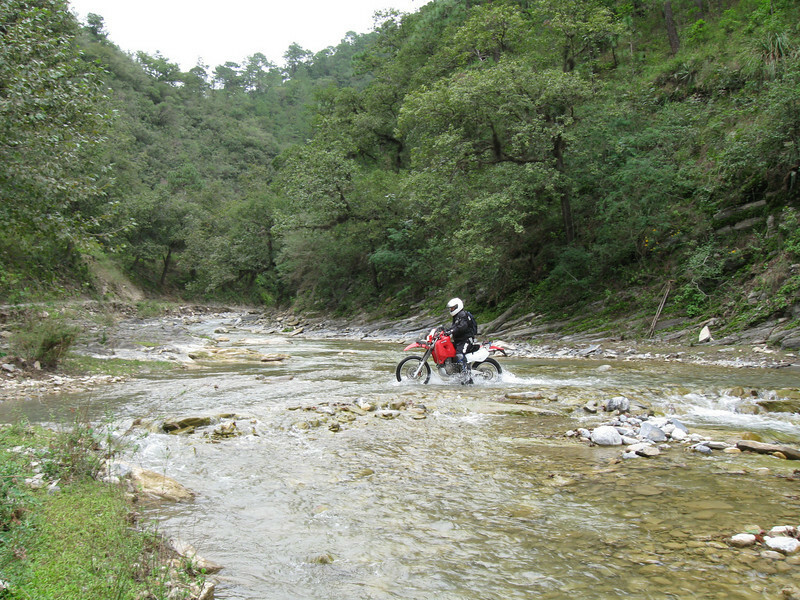 Locals checking out the moto locos. 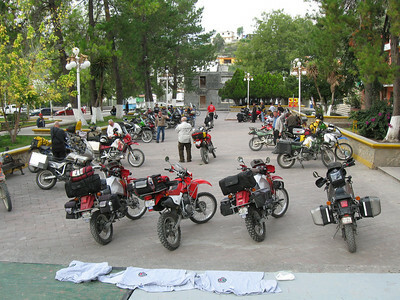 Galeana plaza on Saturday morning. 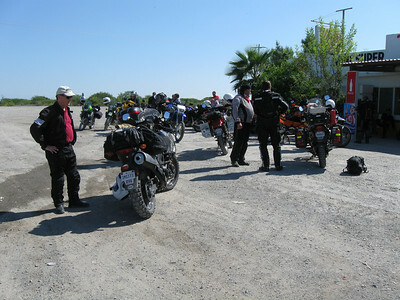 This was the last morning of the event and most riders were busy packing up to go.